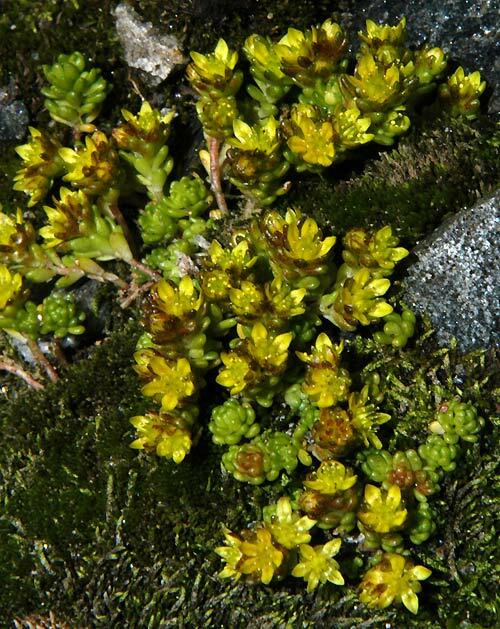 Sedum atratum subsp. carinthiacum - Carinthia ( Austria). This is a stocky, dwarf annual, with the flowers sitting tightly at the tip of the stem. Ssp. carinthiacum with leaves and petals only faintly tinged with red. This species is found on mountains from Pyrenees to the Carpathians, Greece.